Team-based multiplayer shooter in a western setting with four playable character classes. Each character has it's own unique synergy booster that affects nearby teammates so it's best to move as a team. My favourite character is the Trapper as you get a Buffalo rifle and a cool looking fox tail hat. One sad part is that the developers did not keep the 'eat the gun' animation in the final game when you clicked respawn without being dead. It was so fun :). Great first-person shooter co-op game where you and three others try to survive a zombie apocalypse. Each chapter in the campaign mode is about getting to the escape vehicle and characters not played by humans will be controlled by the computer until someone joins to play with you. You fight your way from one safe room to the next and if you all die you restart at the last one. The zombies in the game are slow to notice you but when they do they really moves fast and there are also a number of special zombies that demand special tactics. All in all a great game that is really fun to play and it's nice with a game to proves to idiots that people indeed play coop games (you know who you are...). Four new survivors need to survive the zombie onslaught and this time it is possible to use melee weapons to kill of the undead. Chainsaw is a favorite like always in every zombie zombie apocalypse :). This is a isometric game were you control four characters on a epic quest to save the world. Most of the time you are down in the dungeons but it is also possible to travel the world map between the towns and fight the armies of chaos that walk around there. Each of the characters have their own special ability. The berserker can go into rage and do more damage and the assassin can hide from monsters and do more damage when attacking from behind. There is also the troubadours that can play songs to boost the skills of all the characters and finally there is the wizard that can use magic. The game have a fun magic system were you used different runes to form spells and you can create spells that turn the whole screen in one big magic storm. The thing that impress me the most with this game is that they made it with Unreal Engine 3. It takes hard work to make something look as bad as this with Unreal Engine 3. The game fails in all ways possible with bad story, bad gameplay and bad music. Pretend this game is Pandoras box and do not open it. Action RPG where you run around and hit things. The text describing the game on the box is more epic then the game itself. Play the three newest star wars films in Lego. Sail the seas one turn at the time. 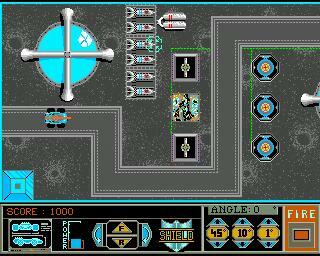 Puzzle game where you need to use your cars laser cannon to destroy a reactor on each level and then use the exit transporter. Your car can only drive on the road so you also has tanks and flyers that can carry things such as mirror and lenses to modify the laser shots you shot so you can hit things not visible from the road. Puzzle-platform game in monochromatic black-and-white that use lightning and ambient sounds to create a great atmosphere. The player controls a boy looking for his sister and the dark world have many ways to kill you and often you walk in the traps even when you see them just to see how it would kill the boy. Sniper game in a Vietnam setting. To linear to be fun :(. Adventure game that are to short and to linear for my taste. Use a shield defend your castle and try to hit the other players castle with the bouncing skull. Guide the surviving soldiers of a helicopter crashes back to base. Arcade driving where you try to complete each track before the time runs out to get to the next.